Hi, Alex here from London. 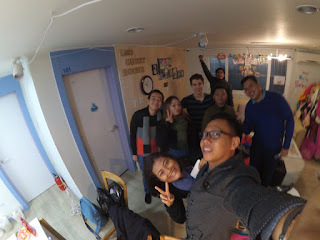 Yesterday I was reminded of why I love working in Leo Guesthouse: Whenever I am surrounded by travelers, (even when I am not traveling myself) I find that the feeling of freedom they have is like infectious laughter. Its impossible not to catch a smile when you are sharing stories with other travelers like these at Leo Guesthouse. The chill atmosphere we have at Leo's place makes everyone open up to eachother and share their stories. Safe travels to Rachman, Wahyu and all your friends from Lombok, Indonesia. All the best wishes from Leo Guesthouse!